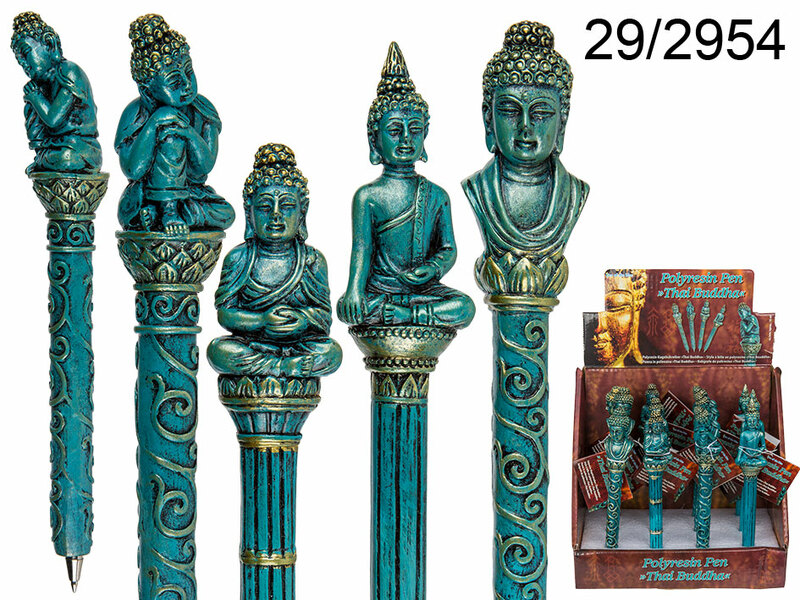 Lovely polyresin pen with Thai Buddha figurine - instantly makes you feel a little bit more zen. Colour of the ink: black. Four models available - assorted. Great stationery item for every lovel of the oriental theme. When buying 12 pieces display stand is free of charge.